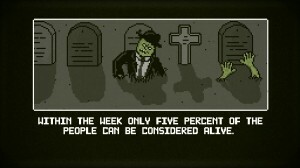 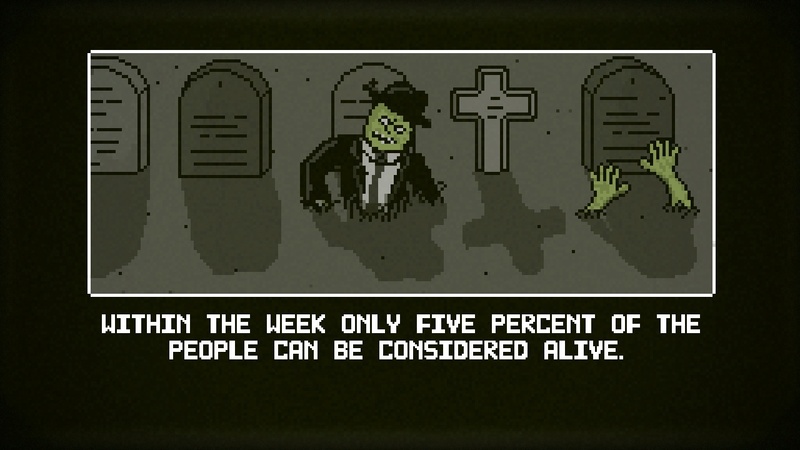 A toxic waste spill finds its way into the water supply causing the recently deceased rise from their graves. 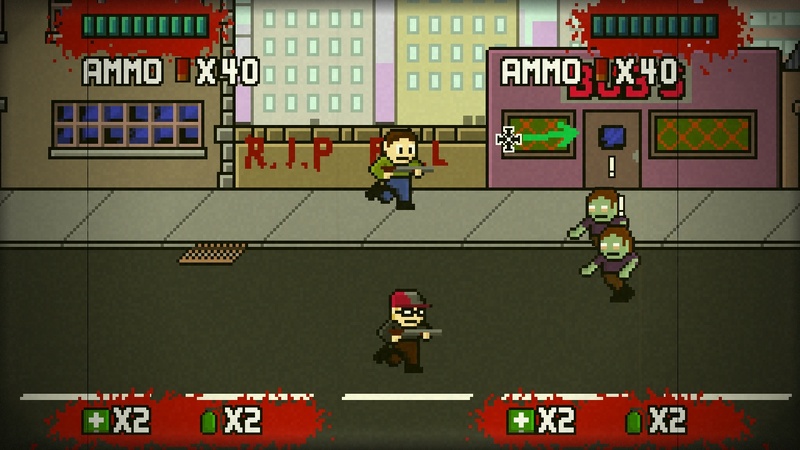 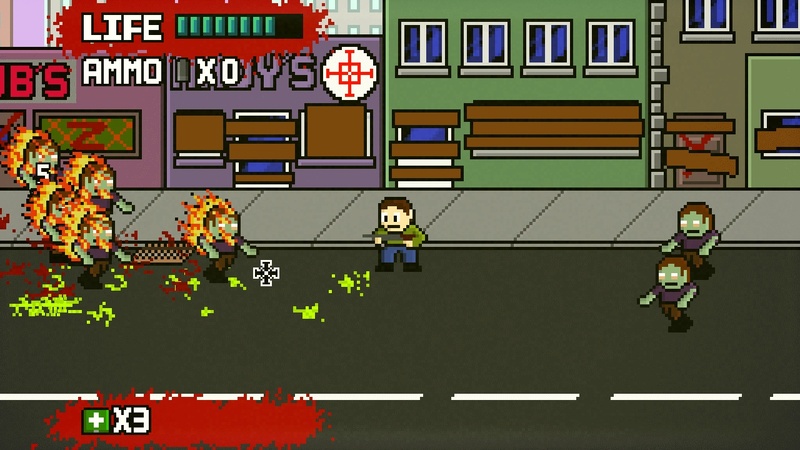 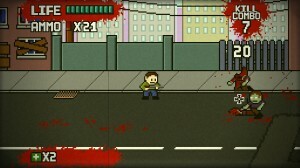 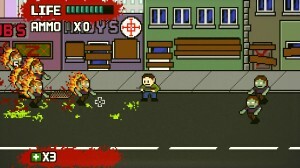 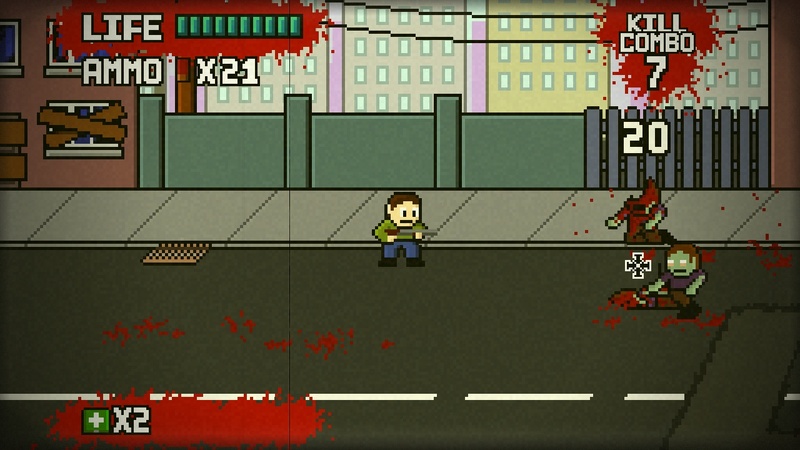 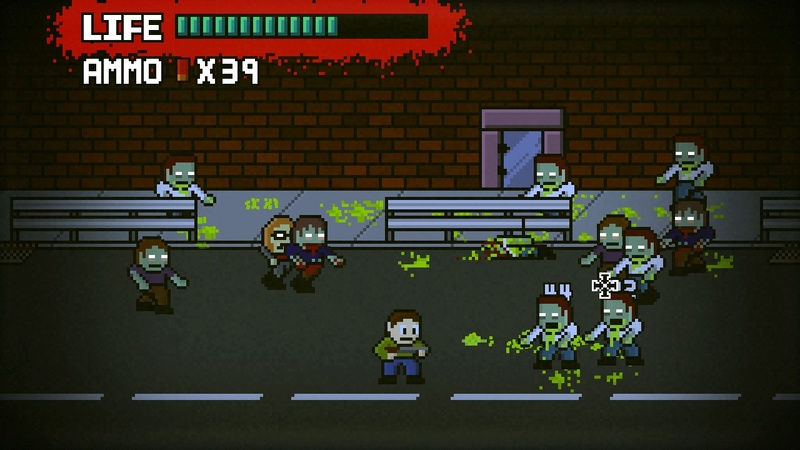 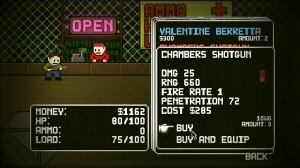 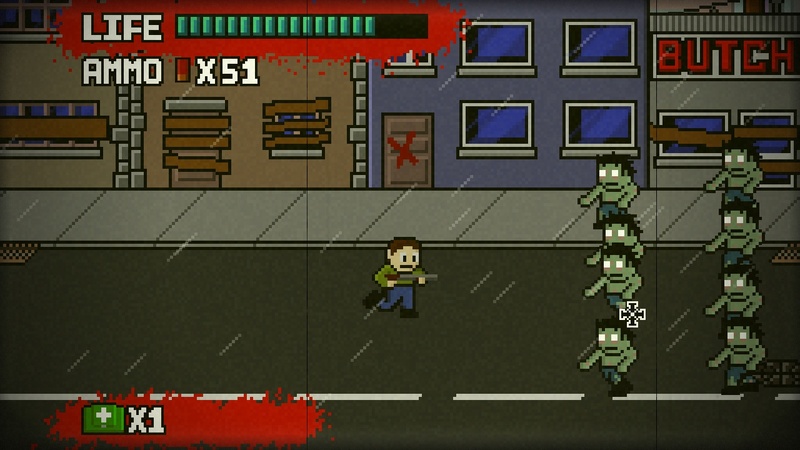 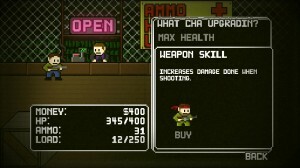 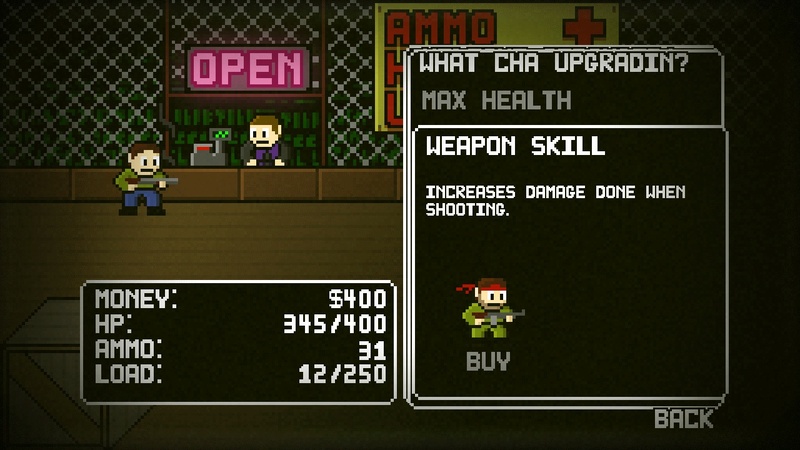 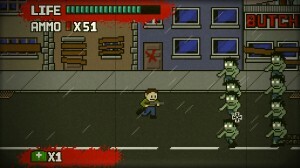 Now you have to shoot your way through the hordes of undead to reach your only hope for survival. 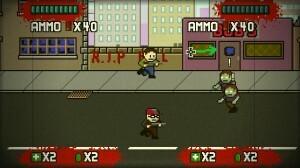 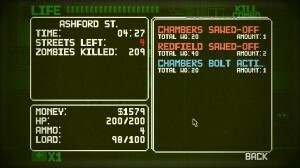 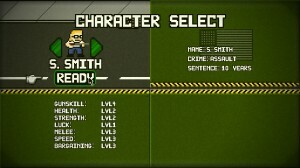 On the way to your rescue you will have to search stores and houses for supplies, and trade with other survivors. 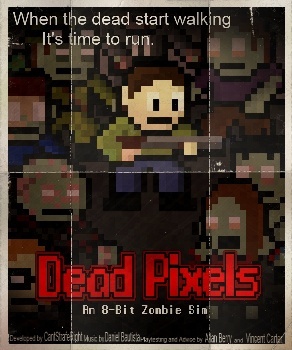 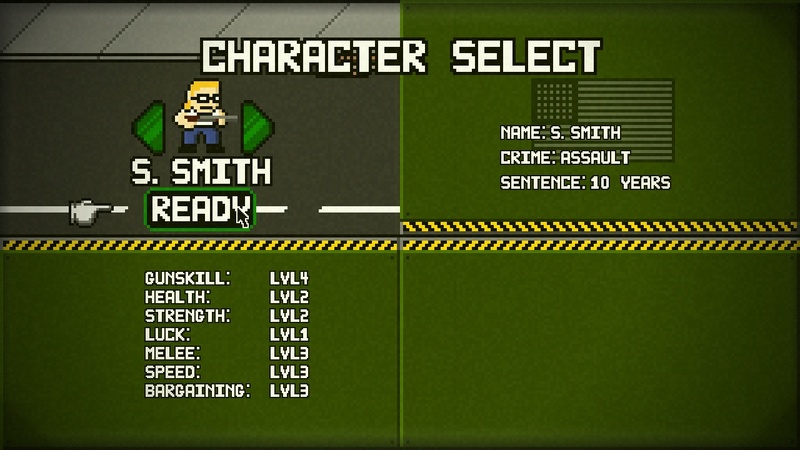 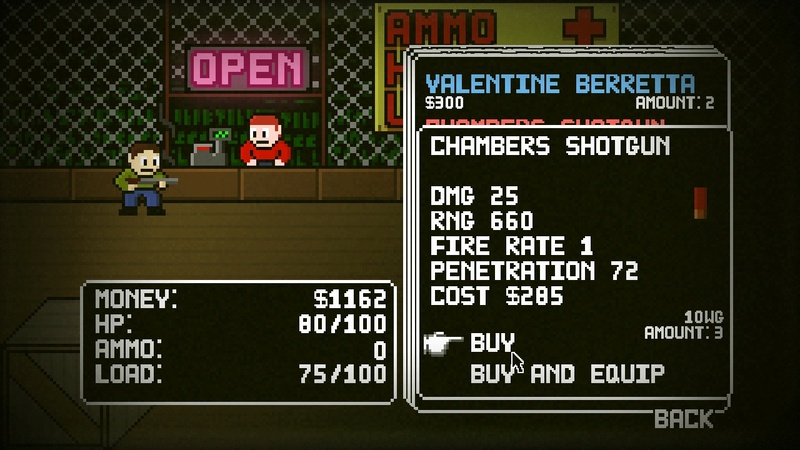 With three game modes, hundreds of items, weapons and grenades, and a city that is never the same twice, there is always something new hiding round the corner in Dead Pixels. 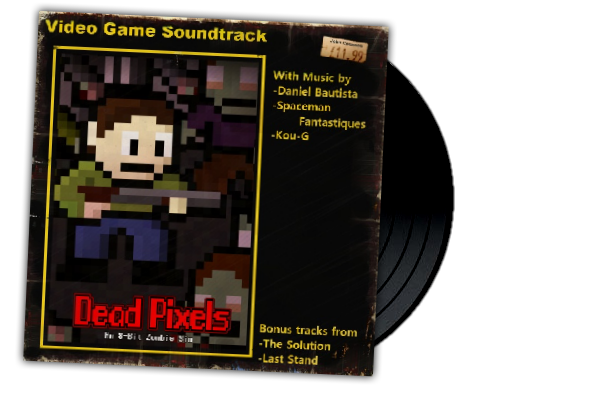 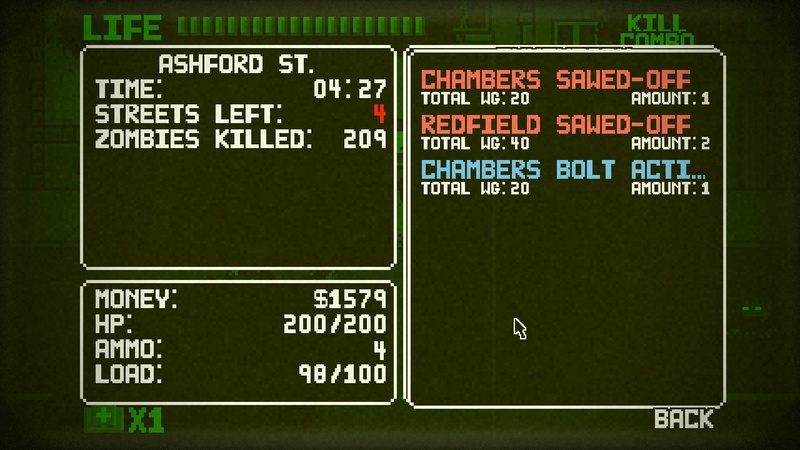 You can download the Dead Pixels Soundtrack for free here. 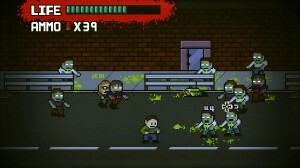 Dead Pixels was developed in Sunny Scotland by CSR-Studios.